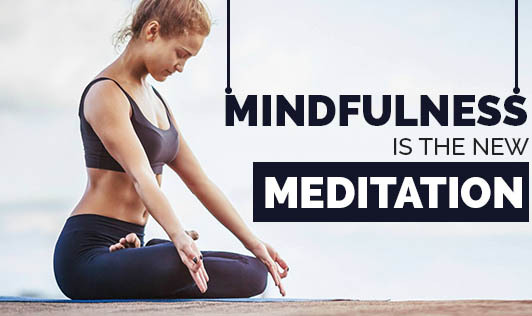 Mindfulness meditation is a practice that involves being non-judgmental, that is neither reflecting upon your past experiences nor thinking about the future. You pause inwardly and become aware of what you are and delve deeper into your feelings. Mindfulness meditation means being aware or mindful of your thoughts. It is a way to free the mind from suffering and get to know what really is. Through mindfulness, you learn to look beyond the surface level of every moment and experience life differently. Generally, life experiences remain veiled with a variety of emotions, which keep us from perceiving the reality. Sometimes our thoughts, other sounds, or sensations also distract us from being mindful. Consequently, we remain stuck or lost at the surface level experience. Mindfulness releases the mind from this rut and can even put a stop to superficial perception before it even begins. Those who are mindful can actually control the mind from getting caught in the reactivity spiral and gain insight from every experience. Samapajanna– one of the most important aspects of mindfulness– means clear comprehension. It is the ability to understand your capacity, what needs to be done, and how it is associated to the larger truth of life. One can experience mindfulness by training the mind to do so in each and every situation. By practicing it daily, it is possible to develop the ability to unify the mind temporarily, divert and sustain attention, experience every moment, and let go regardless of whether it is pleasant or not. At the end, you gain insight into the true nature of the mind and body. Through this process, it is also possible to rid yourself of fear, attachment, and confusion and learn to live joyfully, wisely, and compassionately. As the level of concentration develops, mindfulness could be experienced through all the five senses.